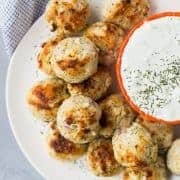 These Greek Meatballs are healthy and gluten-free, making them perfect for meal prep, but they’re also great for parties. 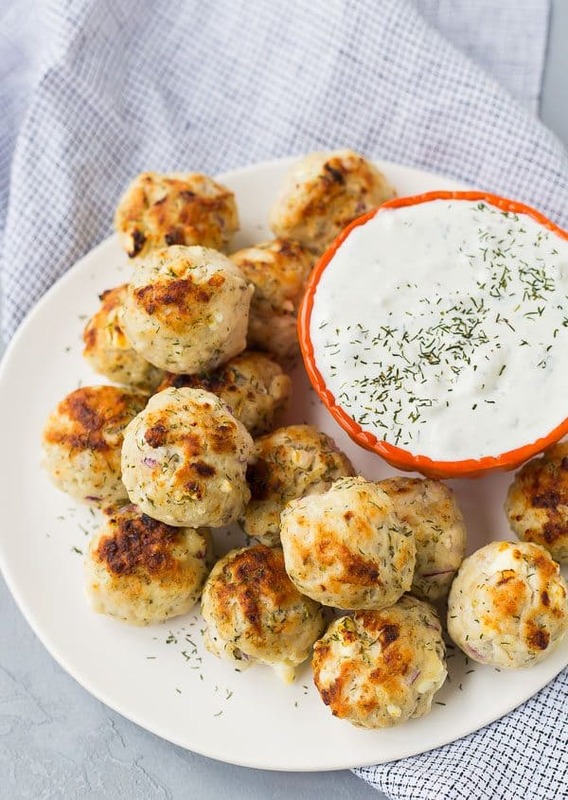 Pair them with some tzatziki sauce and you’re good to go! One of my biggest struggles with eating healthy is getting enough lean protein throughout the day. Anyone else with me on this? I’ve found that having things such as turkey meatballs, chicken breasts, or turkey burgers prepped and ready to eat is a huge help in keeping me full and energized throughout the week. I love making my healthy chicken salad, for example. Then at lunch time, all I do is throw it on a bed of greens and chow down. It doesn’t always have to be meat, either, we love this chickpea salad too. But I do find protein from meat keeps me energized through the afternoon better for some reason. These Greek meatballs might be my new favorite. 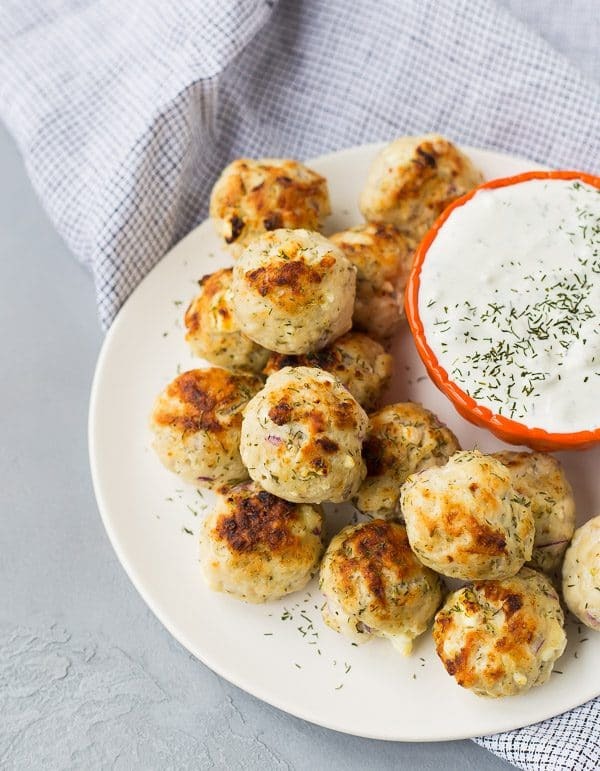 Paired with storebought or homemade tzatziki, they’re perfect just as they are. 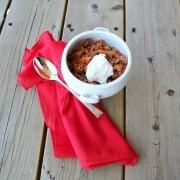 I also fancied them up in a fun recipe that you’ll be seeing next week. You could throw them in a wrap or a pita for a handheld lunch or toss them on top of a salad if you’re looking to get in your greens. 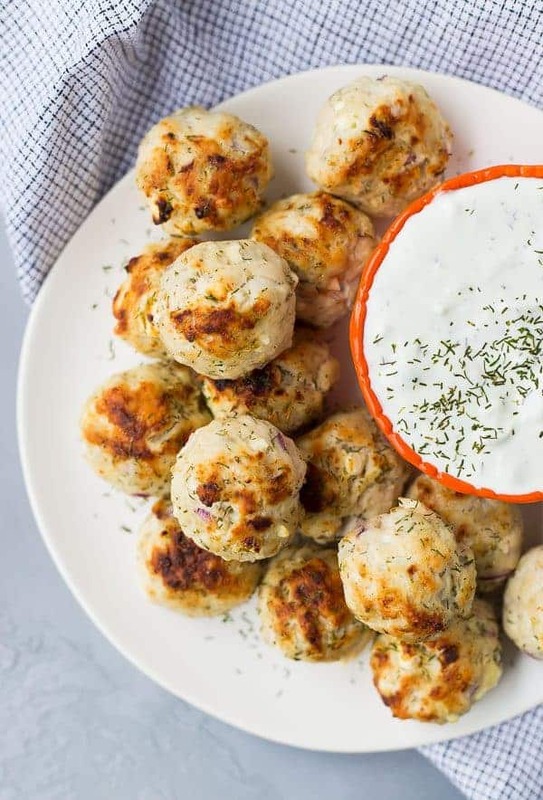 I brought lots of flavor to these Greek meatballs thanks to feta cheese, dill, oregano, and red onion. As a bonus, don’t the flecks of red onion look pretty? Tip: Use a microplane or a cheese grater to grate your onions for meatballs. It’s fast and makes smaller pieces which helps them cook in the short time it takes to cook a meatball. Raw onions in meatballs…not my thing. 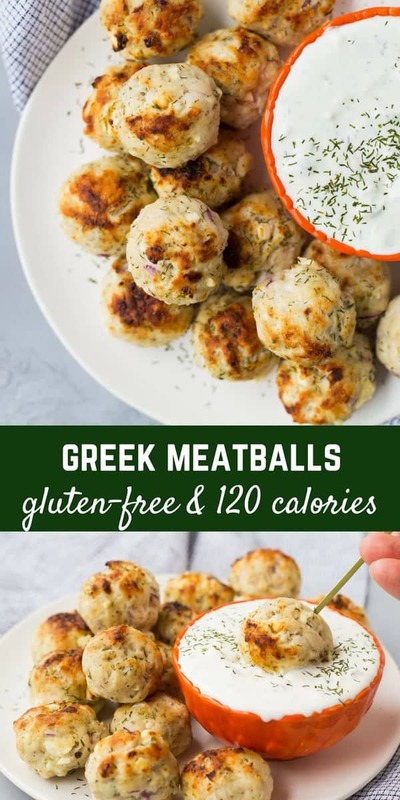 Another note about these Greek meatballs is the type of meat you use! I used extra lean ground turkey breast. Because of the lean meat and its tendency to dry out, I did add a bit of olive oil. The bonus there is that the olive oil adds some nice flavor too. If you use a less-lean cut of turkey (93/7 or 85/15), you can probably omit the olive oil but I won’t judge if you decide to keep it in there. PS: 120 calories and 18 grams of protein in 4 meatballs — I’d call that a lunchtime win. 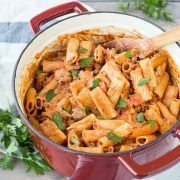 PPS: These tools are super helpful when you’re making this recipe (and many others! ): A 1.5 tablespoon scoop (also called #40) and an instant read meat thermometer (this one is my ABSOLUTE favorite, but you can’t get it on Amazon). Preheat oven to broil (high). Position oven rack 4-5 inches from broiler. Combine all ingredients in a large mixing bowl. I recommend using your hands so you don’t overmix. Use a 1.5 tablespoon scoop (or eyeball it) to roll meat mixture into about 20 meatballs. Spray a large foil-lined rimmed baking sheet lightly with oil or cooking spray. Place meatballs on baking sheet. Broil until meatballs reach internal temperature of 165 degrees Fahrenheit, 8 to 10 minutes. Verdict: I love these – they’re going to be in frequent rotation. Husband’s take: Ben LOVES these! 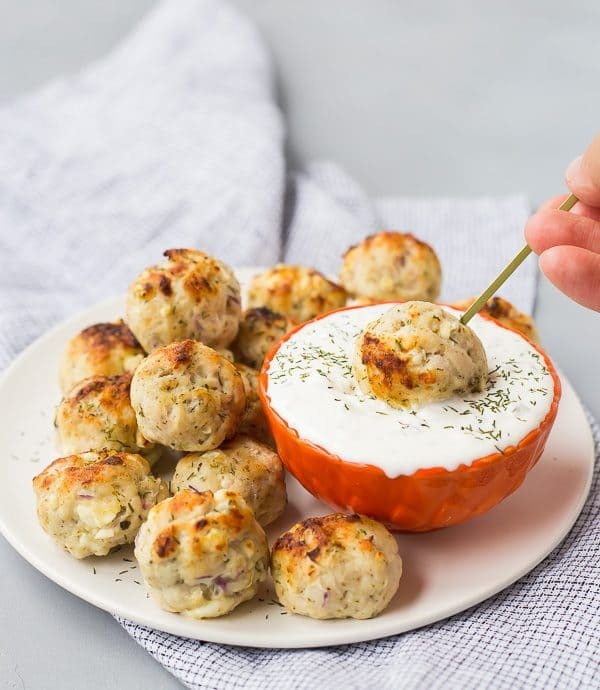 I’m in the same boat – unless I’m diligent, I under-eat protein as well, and these meatballs look like the perfect remedy. I’m loving all the flavors! Perfect for getting my protein on! I am excited to try these! 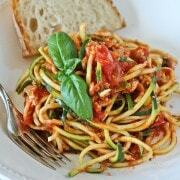 I’ve been looking for healthy, flavorful alternatives and this looks delish! Can’t wait!!! Looking forward to making these! Would these freeze well? If so, when would you recommend freezing– before or after we bake them up? I think they would freeze great and that it would work to freeze them both pre- and post-baking. You might have slightly better results freezing them before baking. Since they’re so lean, they do have a tendency to dry out, so I would worry that baking then freezing then reheating might dry them out too much. Let us know if you try it, though! I added fresh chopped spinach and 1 large egg and I used fresh garlic, instead. I am very pleased with how these came out! I will be making these often! Thank you! So glad you liked these, Rita! Thanks for taking the time to come back and leave a comment!